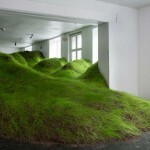 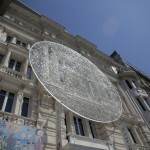 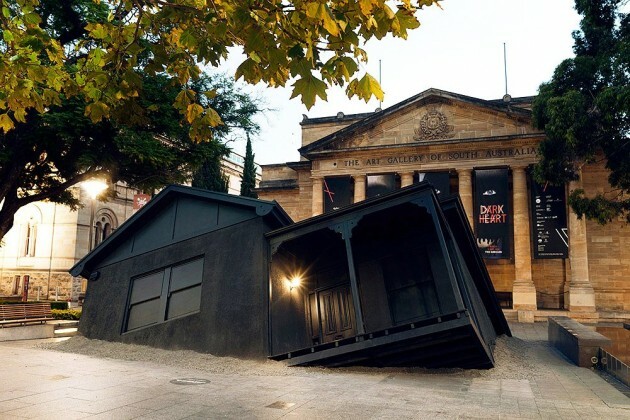 Artist Ian Strange has created a site-specific sculptural installation at the Art Gallery of South Australia as part of the 2014 Adelaide Biennial of Australian Art. 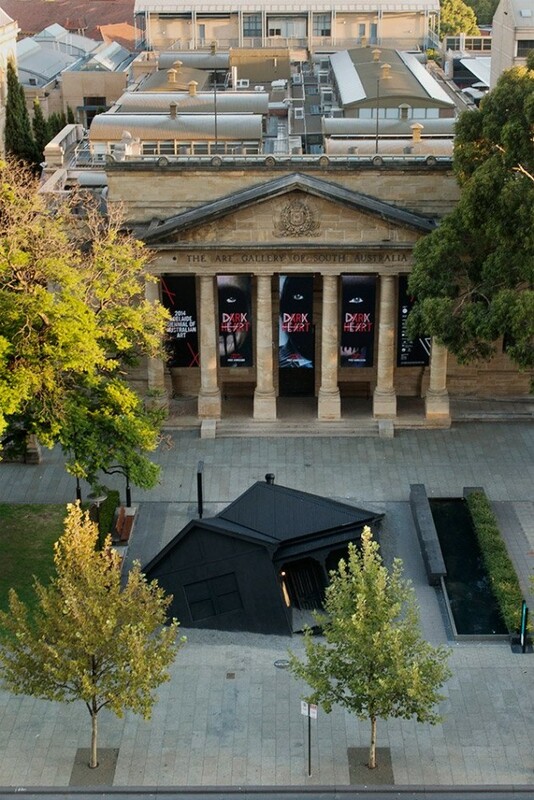 ‘Landed’ will be on display until the 11th of May, 2014. 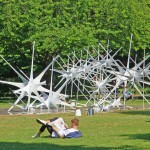 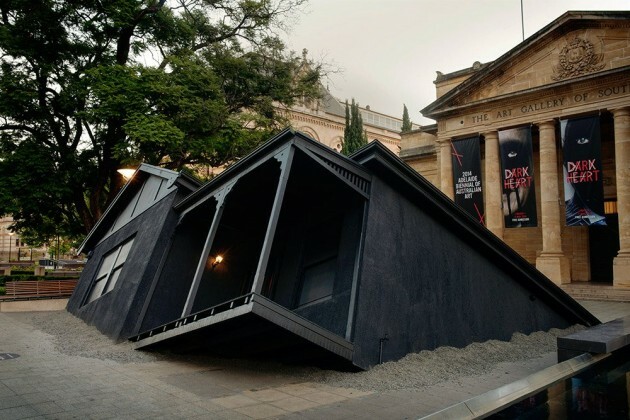 Following his 2013 solo exhibitions, Suburban, at the National Gallery of Victoria; and Final Act, at the Canterbury Museum, Christchurch; artist, Ian Strange has unveiled his latest installation, Landed, for the 2014 Adelaide Biennial of Australian Art. 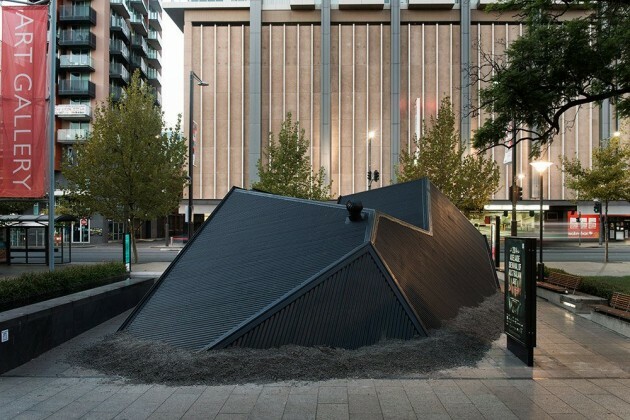 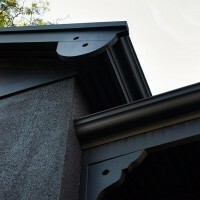 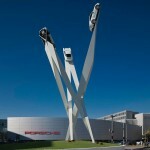 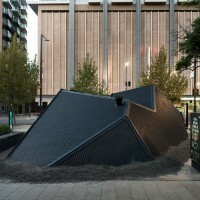 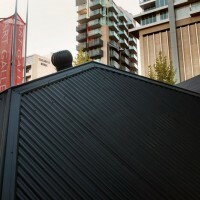 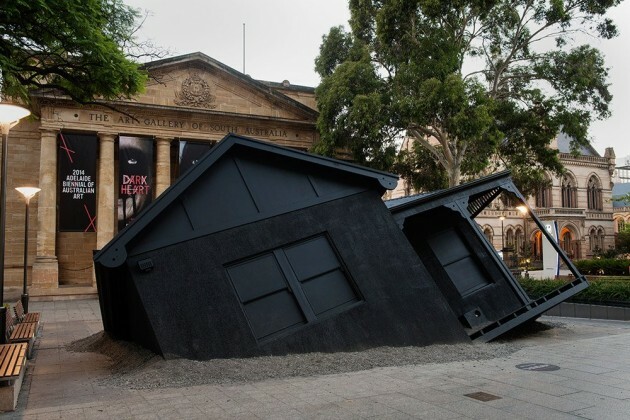 A new site-specific sculptural work, Landed is the recreation of a 1920’s suburban Australian home positioned on the forecourt of the Art Gallery of South Australia. 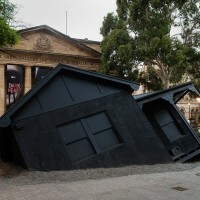 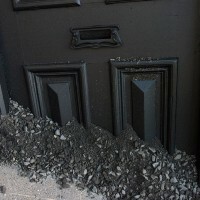 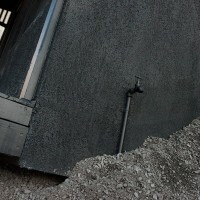 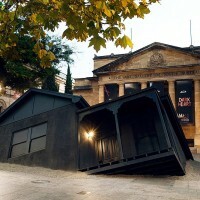 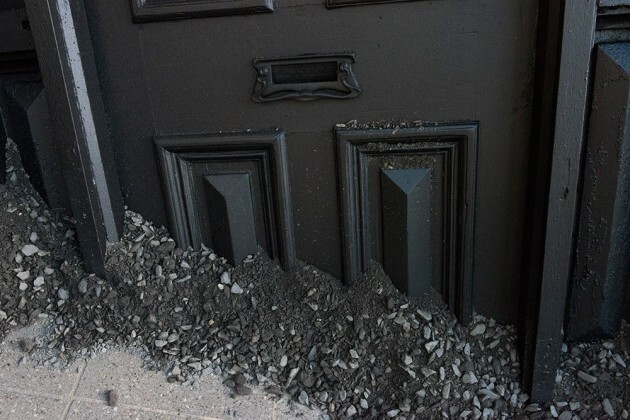 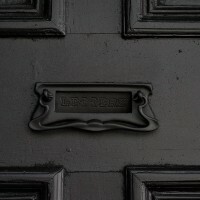 The house, all black, appears to have fallen from the sky and embedded itself in the forecourt of the gallery. 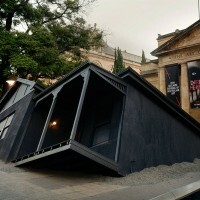 A recreation of Strange’s childhood home, the house’s architecture is typical of many Australian houses built in the early 1900s. 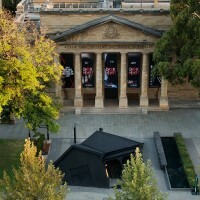 The work was designed, in part, to contrast the neo-classical architecture of the museum with the 1920’s Australian suburban architecture. 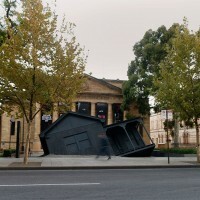 The work is also a direct and playful reference to the Wizard of OZ and the sudden appearance of western culture in Australia.